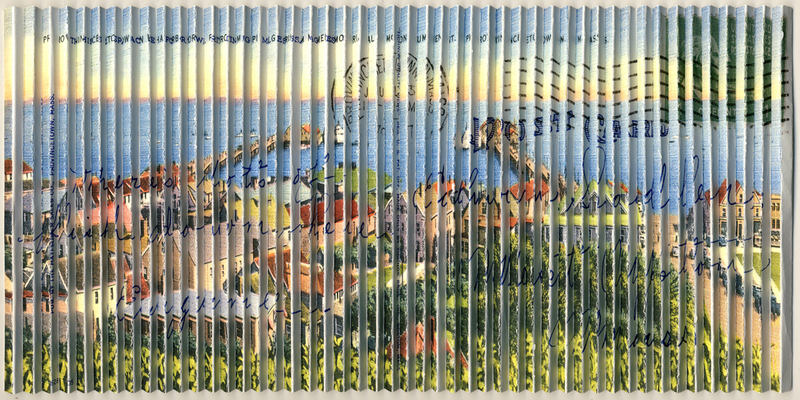 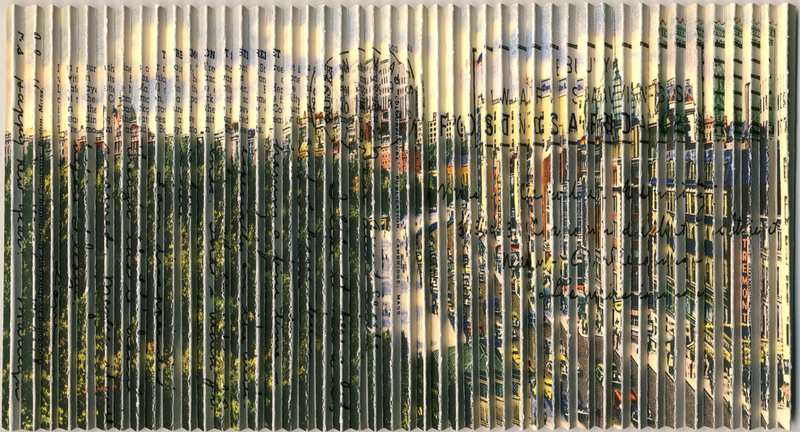 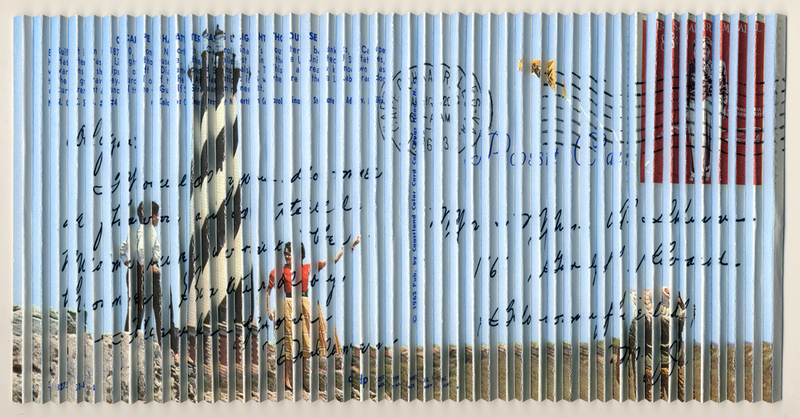 Hand-folded reproductions of twentieth-century postcards, presenting both sides of the card together in one image. 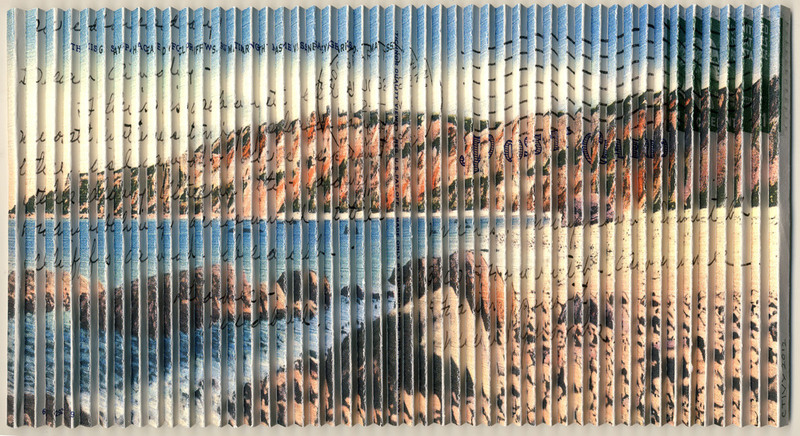 When viewed from left or right, only one side of the postcard is visible. 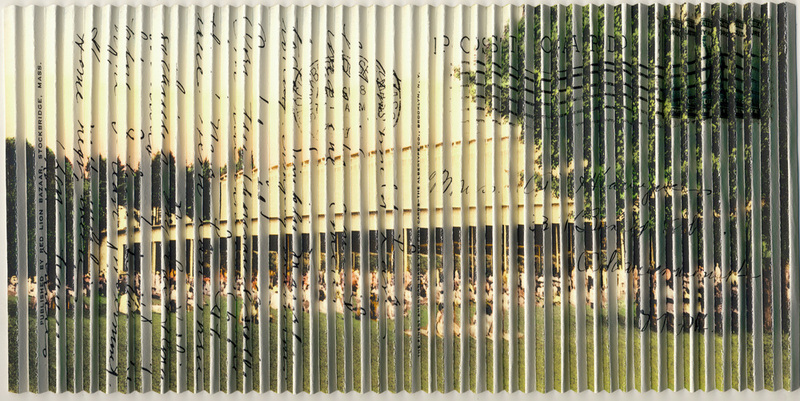 From the center view, both sides blend in a new dimension. 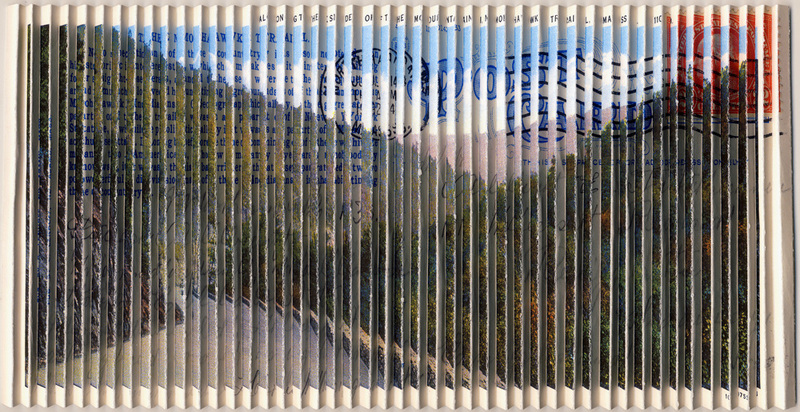 More than 30 different prints are available.